Receive the latest news, promotions, events, contests and lifestyle information conveniently to your inbox. 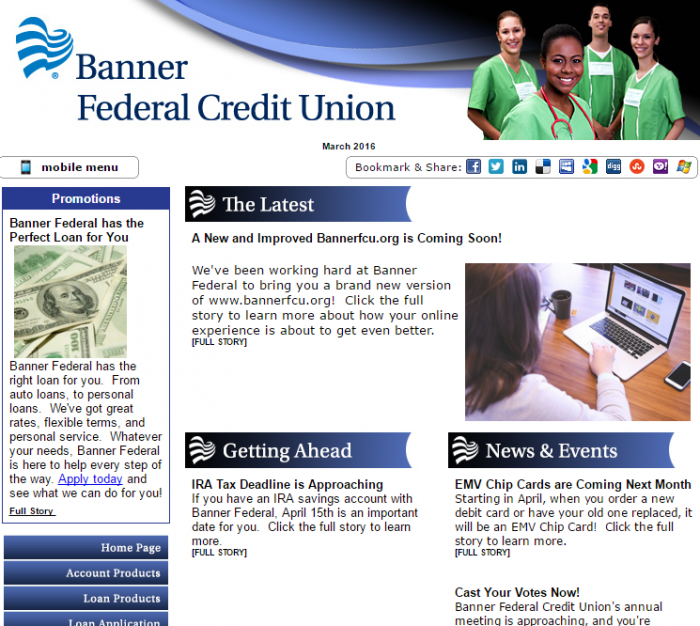 You can stay in the know about all the perks and benefits that Banner Federal Credit Union has to offer by simply signing up. Sign up to receive the monthly e-Newsletter! To get your free newsletter, simply provide us with your email address by filling in the field below and then clicking on the “Submit” button. Thank you!